It does not require a major Act of God for the two condemned buildings on the Montserrat Secondary School MSS compound to come crumbling down. This was concluded in a report by the Engineering Consultancy Company which assessed the structural integrity of the buildings located at the top block of the campus. In response, The Honourable Deputy Premier and Minister of Education Delmaude Ryan mobilised a team from the Ministry of Communication and Works to visit the campus on Thursday in order to formulate a plan of action for the demolition of the buildings. ZJB News visited the site and observed exposed steel, seriously compromised columns and cracks in the concrete walls. Minister Ryan said a plan for demolishing the buildings next week is now being devised by the Engineering Team at the Public Works Department. Minister Ryan detailed plans for the continuation of regular operations at the school. 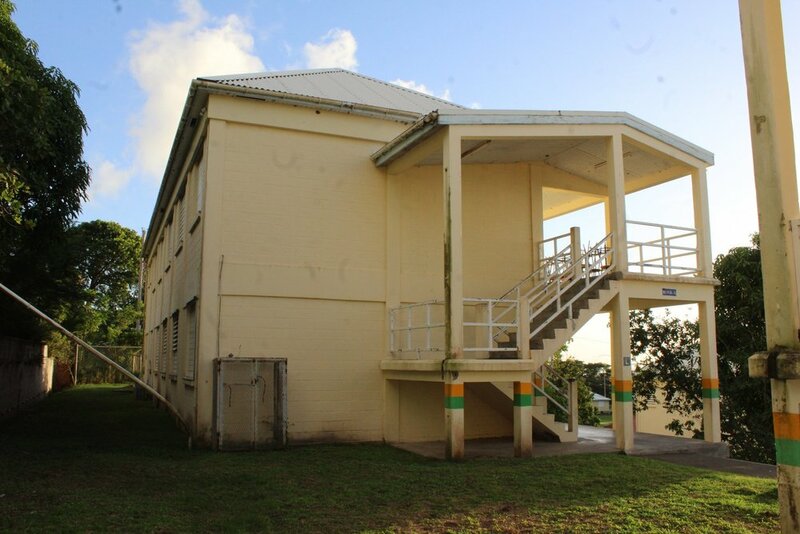 Minister Ryan says a meeting is planned with parents on Friday afternoon at the Brades Arts and Education Centre to inform them of changes to the school’s operations. The Honourable Premier Donaldson Romeo has assured the public that his government is treating the situation with urgency. Premier Romeo has given his commitment that the actions going forward will be in the best interest of the students and teachers.